Dtc b1794 is set when a malfunction is detected in the occupant classification ecu battery positive line. Turn the ignition switch off, and wait for at least 10 seconds. Ok: dtc b1794 is not output. Dtcs other than b1794 may be output at this time, but they are not related to this check. Check that the connectors are properly connected to the occupant classification ecu. 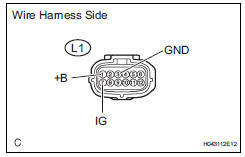 Disconnect the l1 connector from the occupant classification ecu. 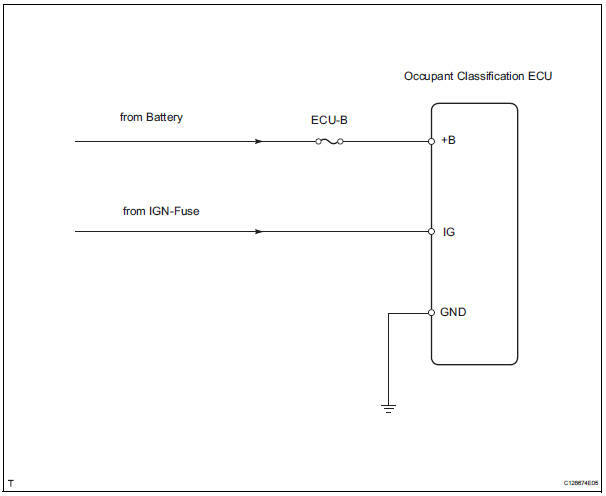 Connect the connectors to the occupant classification ecu. Using the intelligent tester, check for dtcs of the occupant classification ecu (see page rs-249).